The difference between us and BOX! It’s a MONTHLY commitment for both the box subscription and being monthly supporters of us. It costs you something each month to do it. A lot of people do it and are thankful they did. It’s fun and it gives you something to do that is out of the norm. You get updates from both us and your monthly box. With a box, you get some sort of physical item each month you can hold in your hands and touch, while what you get with supporting us monthly is something you can’t touch. It’s the chance to be part of God’s hands working Haiti, a part of something bigger. With a box, you get different themed boxes usually each month that help you maybe learn about something or help you with something. 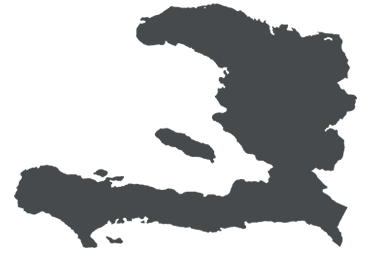 With supporting us monthly however, you will get to see monthly and sometimes even weekly updates, especially once we are over there, on the different ways God is working in Haiti and how YOUR support is helping PEOPLE over there. You will hear REAL stories, TRUTH and you will get to walk the journey with us as we share with you. What you get in your box each month lasts temporarily, you won’t use it that long and you might not even fully like all of it. With supporting us monthly, you’ll know that each month you are helping build up our one-time costs so we can move over there and then once in Haiti, you’ll know each month you are being the hands that are keeping us there so we can make Him known and help spread His love. You will be changing lives for eternity. So to recap, monthly boxes are super fun! Actually if you subscribe to one, please feel free to comment and share what you subscribe to and if you like it! We think they are fun too! Our monthly supporters might not get as much “physical” items or boxes in the mail from us BUT they will be getting our prayers continually and written notes from time to time as we get to know and pray for your family more and vice versa. We will be praying specifically for each of our supporters. Most of all, you will be making an impact for eternity that goes beyond the month to month! We did this to show in a light-hearted way that it can be easier than you think, to be one of our supporters. It might take a bit of sacrifice on your part, we completely get that, but it’s a sacrifice that you will get to see the reward for all of eternity. So if you wanted to support us and you felt you couldn’t do higher amounts but maybe you could budget $25 or $30 a month to help our family move to Haiti, we would LOVE that and we’d be honored to have you as a part of our ministry family! Many hands make light work! You can click HERE to start your automatic monthly donation to our journey. Thanks for joining in our journey. We love you all! Next postOur first updated NEWSLETTER!